We have looked at multiple 60 GHz 802.11ad solutions from Wilocity over the last couple of years. A couple of weeks back, this market area received a fillip as Wilocity was bought by Qualcomm for around $300 million. Wilocity's chipsets are currently integrated inside a few business laptops from Dell, pointing to WiGig taking off after more than four years of development. With Qualcomm behind the technology now, it is quite likely that Wilocity's latest mobile-usage targeted products will integrate into a future Snapdragon platform. In this market state, we have a new startup that is pitching its first solution for WiGig. 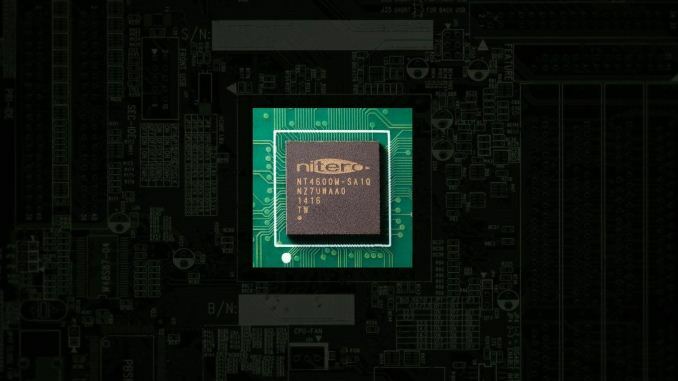 Nitero, a fabless semiconductor company, is launching the NT4600 802.11ad solution today. Instead of starting off with the PC as a target platform, Nitero has designed this in Samsung's 28nm RF process to achieve 10x lower power consumption numbers compared to currently existing WiGig solutions for PCs. The implication is that the NT4600 can be directly used in tablets and smartphones. The NT4600 supports TX/RX beamforming for operation even in non-line of sight conditions. It supports data rates up to 4.6 Gbps and provides a PCIe host interface for connecting to the app processor. Nitero also has Android drivers ready for their platform. The company is demonstrating the NT4600 to prospective customers now, with mass production expected in early 2015. Assuming you only have one router/AP. How're they planning to do so? Higher QaM levels? More spatial streams? Wider channels? Tighter beam forming to maintain higher signal strength at longer distances? Something else?